For as long as I can remember, I have always wanted to help people, in any way that I can. I have had the privilege of doing this in various ways throughout my life. For example, a few ways that I have supported others include: preparing and serving food to the local homeless population; helping coach new athletes as they trained for their first marathon; fundraising money for cancer research and patient support services; and note-taking for students with disabilities. I love to connect with people of all walks of life. Aside from my work as a clinical counsellor, I enjoy spending time in nature. I also love to travel, both locally and internationally. I am trained in a number of therapeutic approaches. Guided primarily by a client-centered and humanistic approach, I work collaboratively with each client to tailor therapy to their unique needs. I strive to provide a compassionate, accepting, and non-judgmental space for my clients to work through their concerns. My view is holistic ─ I believe that it is important to view you as a ‘whole’ person as we work together. A holistic approach considers the following aspects of your life: emotional, physical, spiritual, psychological, and social. I consider it a privilege to be part of your journey of self-awareness, learning, growth, and change. 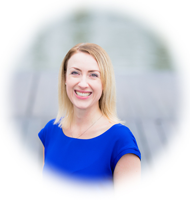 Jennifer is a Registered Clinical Counsellor (RCC) with the British Columbia Association of Clinical Counsellors (RCC #13747). 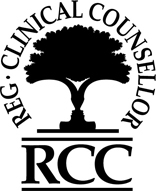 As an RCC, Jennifer is committed to providing quality services and maintaining professional and ethical standards.